Sure, you have the same choice of countertop materials for the bathroom as you do the kitchen. But here’s the thing, the kitchen is more likely to take a beating. The preparation of food alone – with all its cutting and pounding – can be much more active than your daily bathroom sink routine. So you’ll likely want to choose the toughest counter you can find for the kitchen. 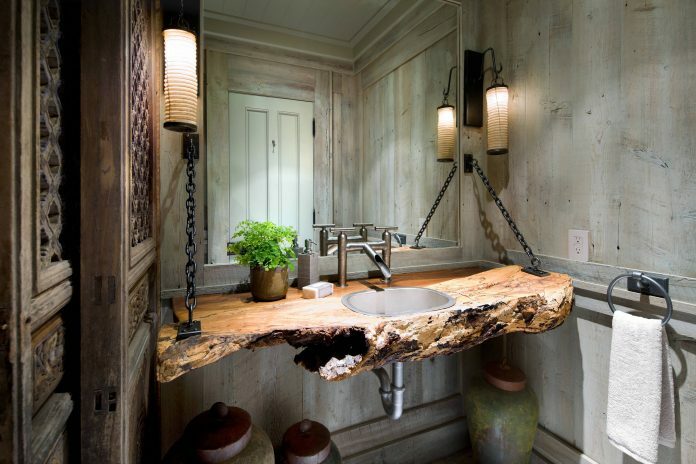 Ah, but you can be more lenient in your approach to selecting bathroom counters, perhaps even choosing one just for its beauty. After all, when was the last time you had to chop vegetables in the bathroom? Typically, kitchen countertops need to be more functional. For instance, cultured marble – a manmade product that mimics real stone – is perfect for the bathroom but it is simply not durable enough for the kitchen (the vulnerable surface puts it at risk for damage). And that’s the interesting point, bathroom countertops can be practical and project elegance at the same time. You can afford to compromise a bit of durability. Your choice of material will likely set the tone for the room. But first, cost, maintenance and compatibility need to be considered. All-natural granite is a highly admired countertop source. It is extremely durable and quite easy to care for, more so than the other natural stone materials, in fact. 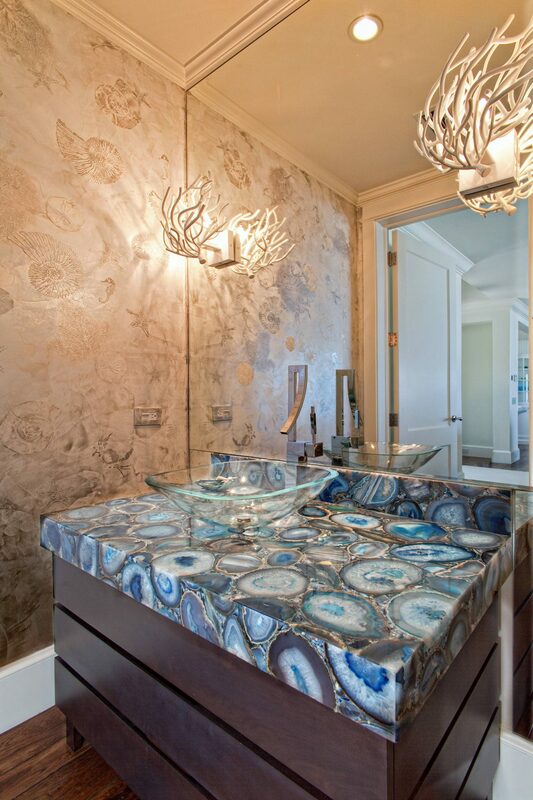 It is typically on the expensive side, but each slab is a one-of-a-kind work of art, an incomparable compliment for your bath. As far as maintenance, they need to be sealed bi-yearly, otherwise they’re easy – soap water and a soft cloth will do the job. Abrasive cleaners have the potential to scratch or corrode the finish. Chips and scratches are possible as well, but may be sanded down. Cost-wise you’d be looking at $75 to $200 per linear foot, installed. Quartz, meanwhile, is manufactured, a product that can be made to look like limestone, granite or marble. Oddly it has greater scratch resistance than the three it imitates. It is composed of approximately ninety percent quartz particles, a composite that is available in a wide variety of colors and thickness. It’s the ideal material for accommodating specialized edging. It’s perfect for the bathroom, durable and easy to clean. Unlike granite, it requires no additional maintenance. You can expect to pay $110 to $250 per linear foot of quartz. 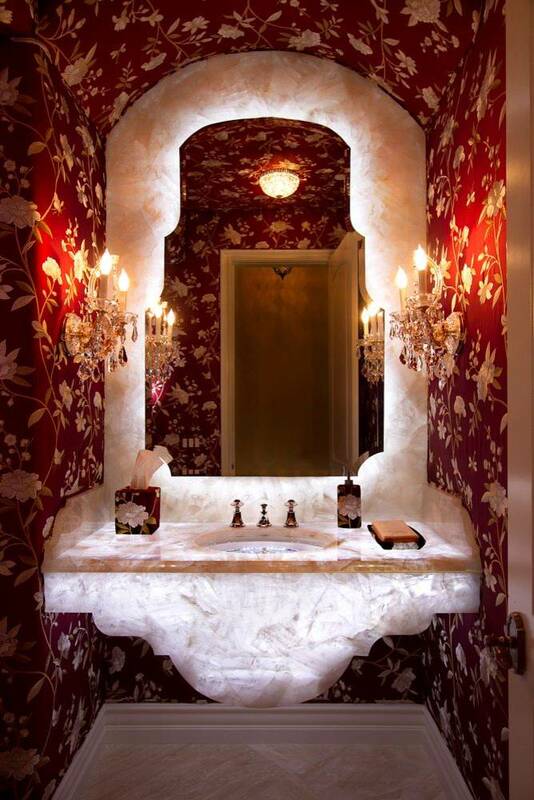 Obviously, when you think of bathrooms, you think of tile. With the exception of the chore of cleaning grout build-up, tile seems to be the overall preferred choice. It’s now being produced in larger sizes than ever before, so the choices are broad and the likelihood of oft-occurring hard-to-clean grout are minimized. Besides, you can always use a darker shade for the grout that will conceal dirt more effectively. You may select unglazed through-body porcelain, it is tougher than granite and costs only a third of the price. Also available are myriad style porcelain and ceramic tiles that can appear metallic and create artful designs. Despite all the talk, they’re easy to clean and there’s a wide selection to choose from, starting at only $2 per tile (on the high end you could pay as much as $40). Special hand-painted tiles will run you $5 to $75 per tile. Another option that has become very popular is actually designed to look like natural stone. Solid-surface material is perhaps best known by brand names such as Corian, Gilbralter, or Avonite. It’s a synthetic material that is a breeze to maintain. It is quite flexible and can be molded to accommodate any design. It isn’t prone to the growth of mold or mildew and is in the mid-price level at $75 to $150 linear foot, installed. Thanks for reading. It’s good to have this knowledge before you start laying out cash for a countertop material you don’t know too much about. You’ll likely be satisfied with any choice you make but a little education goes a long way in making the an informed decision. 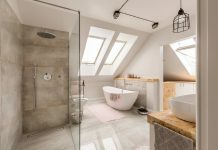 Remember, when it comes to the bathroom there’s a world of options beyond the white porcelain tiles so often associated with it! 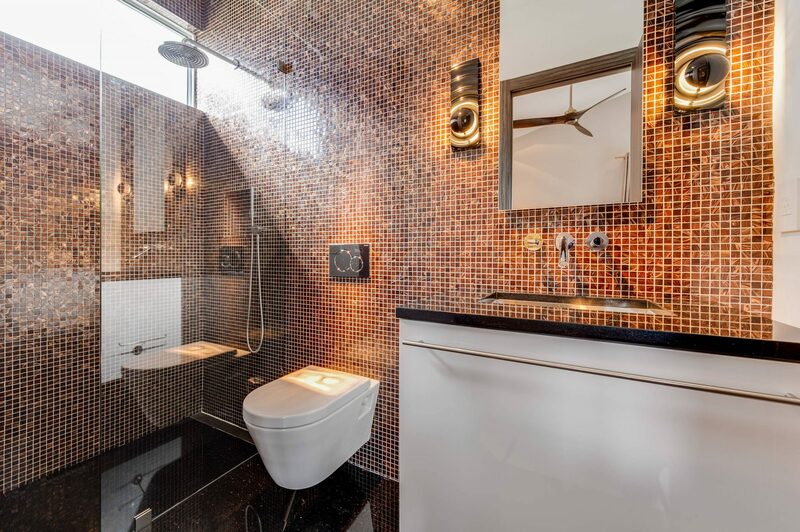 This is fabulous.I loved those tiles which adds a great value to the bathroom.These are really stunning ideas for designing the bathrooms who wants something different.Thanks a lot for sharing. what a lovely blog you have shared. I will definitely try this.